Eric Bradbury, who worked for IPC throughout the 1970s and 1980s (and for Fleetway through most of the 1960s), appears to me to have been an artist who thoroughly enjoyed his work. There’s a devilment in his dark and dirty panels, his bloodthirsty, leering, drooling villains and in the eyes and grimaces of his many terrified victims. 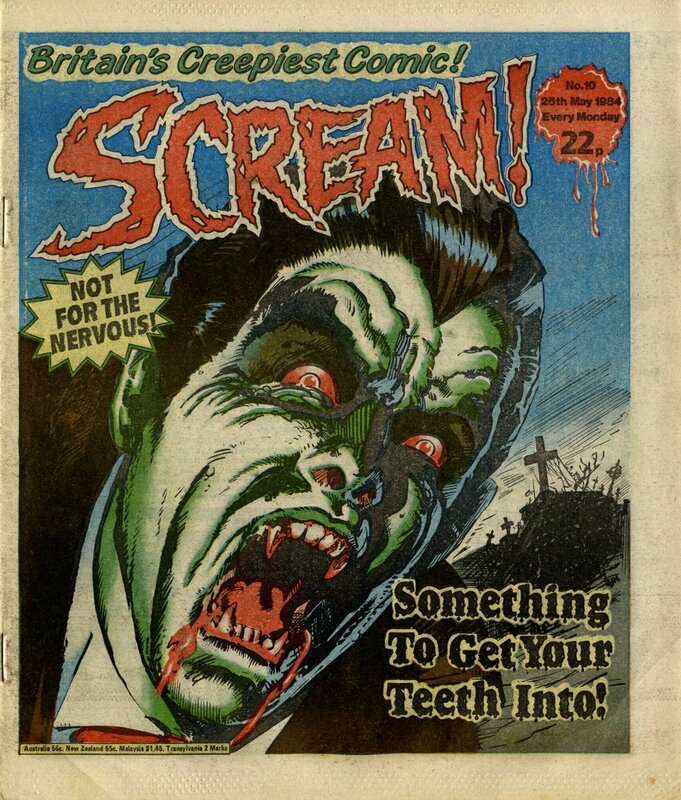 As a creator specialising in fantasy, action and horror, Eric was commissioned across a broad range of comics, including Jet, Valiant, Buster, Battle, Action, 2000AD (on which I remember him as illustrator of Tharg the Mighty’s tormentors, The Dictators of Zrag), Scream! (The Dracula File) and Eagle (Doomlord), and was a sure bet for a pulptastic cover design.